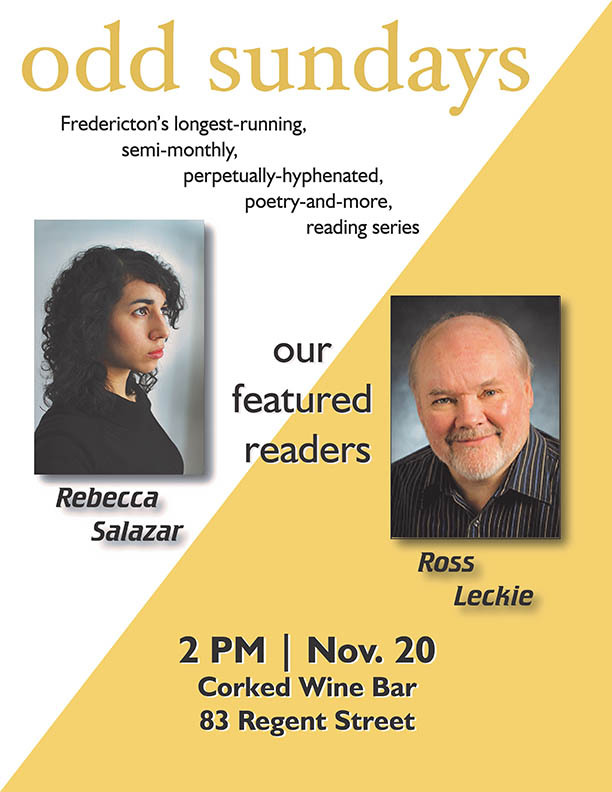 Two Fiddlehead editors, Ross Leckie and Rebecca Salazar, are Odd Sunday's featured readers this coming Sunday, November 20th. Join the crowd at Corked Wine Bar, 83 Regent St. at 2pm. The reading will be followed by an open mic set and a free book draw. Ross Leckie’s newest publication is The Critique of Pure Reason, a chapbook from Frog Hollow Press. He has published three books of poetry, A Slow Light with the Signal Editions series of the Véhicule Press; The Authority of Roses with Brick Books and Gravity’s Plumb Line with Gaspereau Press. 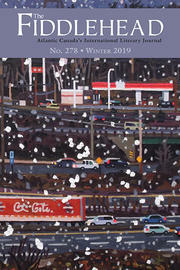 His creative work has appeared in such journals as The Antigonish Review, Descant, ARIEL, The New Republic, Denver Quarterly, Southwest Review, and American Literary Review.